BLOWOUT SALE! Get results… fast! 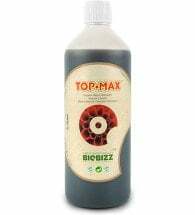 Age Old HELP provides vitamins, enzymes and bio-stimulators to rejuvenate your plant’s production system. 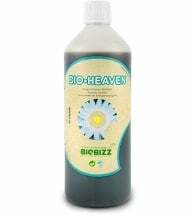 Revitalizes and renews the photosynthesis and cell production processes within the plant so damaged plants can recover. Use as a foliar spray to reduce transplant shock and in hydroponic storage tanks. Foliar Spray and Transplants: Add one tsp to one pint of water and drench foliar. To reduce transplant shock prior to planting, place roots into the solution for 4 to 24 hours. 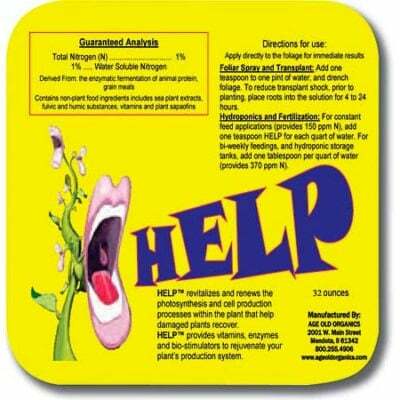 Hydroponics and Fertilization: For constant feed applications (provides 150 ppm N), add one tsp for each quart of water. For bi-weekly feedings and hydroponic storage tanks, add one Tbsp per quart of water (provides 370 ppm N).